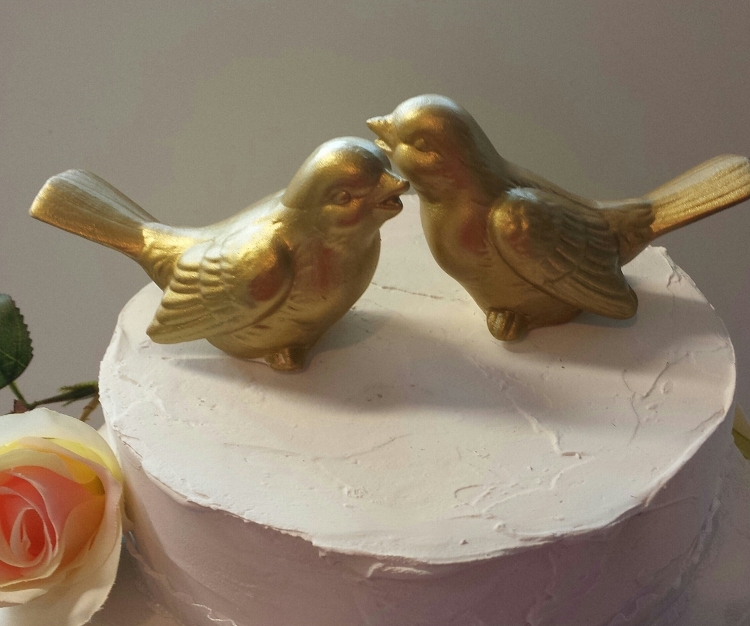 Gold Wedding Cake Toppers Birds Ceramic in Gold Wedding Home Decor Shown on a 6" cake top Wedding cake topper, wedding favor, bird home decor. The cutest little birds. in gold. Price is for two! White Gift box included free with every purchase, and ribbon to match color choice. It's 3" across by about 3.25" high to top of tail Also available in many colors in other listings. Hand made in the USA by me! I pour these from a vintage mold, clean fire to bisque, then glaze again, with the color.